I was on the road when I was nominated for the ‘Travel Your Way‘ contest by Kathryn from Travel with Kat, and didn’t expect to make the September end deadline. Viveka’s kind nomination last week made me realise that the last date had been extended to October 31. So here I am, with just a couple of days to spare…..
We fly often – at least one return trip every month or more – to Bangalore, and I will go to great lengths to ensure I have a window seat, just so I can gaze out at scenes like the ones below. This sunset takeoff, was shot with a point and shoot from my onward flight last week! And here is a shot from our hot air balloon ride over Cappadocia, that completely slipped my mind until I read Tony’s comment below! Breathtaking does not begin to describe that unmissable experience. One of my most memorable train journeys was the one that took us to the town of Aguas Calientas, enroute to Machu Picchu. We were fortunate enough to bag front row seats to nature’s breathtaking spectacle, all the way up! That blur of motion in the second image is the platypus nosed Japanese Bullet train. I couldn’t get over how, the passing countryside didn’t seem to whiz by any faster than in other slower trains! Then there is the Maglev in Shanghai (not the greatest photo, but just to give you an idea). The magnetic levitation line, that connects the city to the airport. The speed indicator registered that incredible figure in under four minutes, before depositing us at the airport (at a distance of 30km) in seven minutes flat! Talk of high speed!!! Touching an incredible 430km/per hour! I am not a cruise person and neither is my husband thankfully. We hate the idea of sitting around on deck when we could be people watching in a cafe on the ground. What we do like however, and have enjoyed on many occasions, are serene private boat rides on local rivers and deltas. They never fail to take me back to my childhood home by the river. Below is a gallery of boats from the Nile, the Tigre delta and the Ganges. We are just back from a 1700km domestic road trip, and I do not have any photos of our vehicle to share! We didn’t have the heart to try this one either. No we didn’t get on this one! Thank you Kat and Viveka. And good luck to all my friends that are participating. Good luck, Madhu! Great photos, and I love the horse cart! Thank you Angeline. That horse seemed too handsome for that tatty cart. awesome photos! i love them all, but really drawn to the sunset. 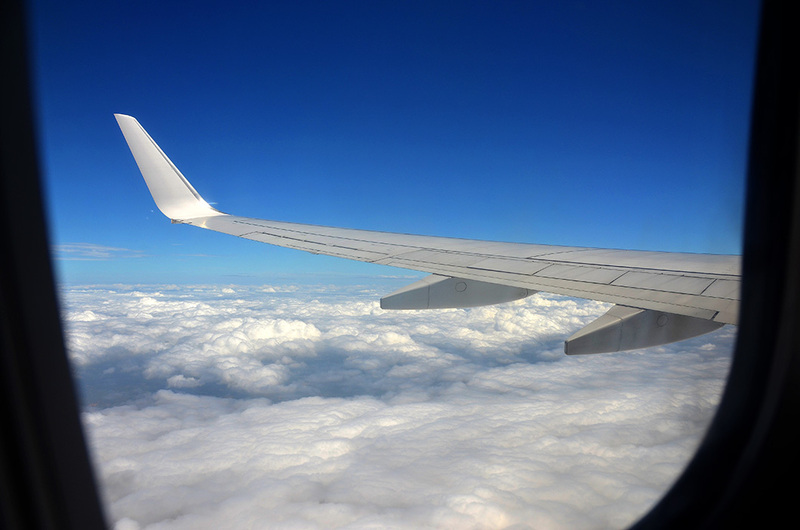 i love the window seat, too, watching the take off and going thru the clouds. great post! Thank you Paula. I was kicking myself for not having taken my DSLR along on that trip. A buffet of travel modes – lovely. Ah, the picture of the felucca in Aswan sure does bring back some pleasant memories. I absolutely love reading your blog! Oh that is such a lovely compliment Andrew! Thank you so much. I am glad this stirred fond memories. Why am I not able to access your website? I see these pics and I think you are one of the fortunates who find their calling. Your insights during travel are unique… bless you for the seeing eye! I never asked you what happened to your interview. Hope everything went off well. Fantastic job, Madhu – I understand now that I should have done as I first thought – mention all categories, I read it time after time … but it’s what it’s. I will you the best of luck. I knew you would give us a magical post about your travel. I wish the best of luck, Madhu. Oh no, your photos were fabulous Viveka! I was thinking I need to try clicking from more interesting angles like you do 🙂 Thank you for the good wishes. I think we are suppose to mention all ways to travel – sea, train, road and fly – and I read it time and time again … very unclear, but done is done – maybe I can win because of Michael Buble *laughing. Thanks Gilly. I am not a fan in this heat, but those Tuk Tuks are quite nifty when I want to avoid the hassle of finding parking space on very crowded streets. Great selection, Madhu – as ever beautifully composed and shot. Best of luck! That was the best my little camera could do Nandini. It was like an ocean of gold!! The sunset taken from the airplane is a great capture. Thank you Sally. I should have tried a shot with my Iphone as well. You are too kind David 🙂 Thank you for your good wishes. Great entries! I didn’t realise they had extended the closing date. That was handy! Glad you had the chance to enter. Me neither! Thank you Kat. No hot air balloon, yet? 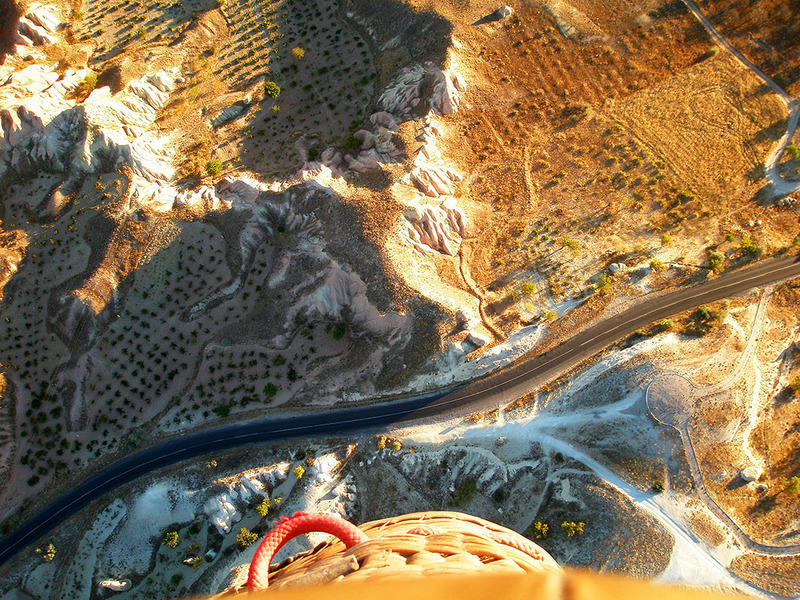 Just added one from our balloon ride over Cappadocia….thanks Tony! Thank you Rommel. We call that yellow motorised three wheeler an auto rickshaw if that is what you were wanting to know. Ooops, sorry. Didn’t see it and the one on top of it. Looks like the “driver” is enjoying hid exercise around the city. Great entry! Best of luck, I really like the hot air balloon one, I’d love to go in one of those one day. Oh my gosh, that sunset picture near the start of this post is breathtaking! Thanks for sharing these little pieces of the world with us. That picture from the hot air balloon looks like something out of a fantasy movie. So surreal! Thanks for sharing it. That was an unforgettable experience Julian! You should try it sometime, preferably over Cappadocia. Wish I could join you some day on your adventure,.. let me know,. if you are in US anytime,..
As always,. its feast to read and look at your blog pictures,.. Excellent choices for the theme, Madhu. ‘Sunset takeoff’ has to be my favourite. Stunning view! Thank you Dallas. Hope Dad is feeling better. That is because you are a biased friend 🙂 Thank you Paula. Love your photos, Madhu, and the sunset is my favorite, just gorgeous and a fantastic shot! You have presented us with so many wonderful adventures Madhu but how breathtaking is your balloon shot!!! As happy as I am that other people enjoy cruises I am more than happy to let any cruise ship sail without me but I could be tempted to sail the seas on a merchant ship. 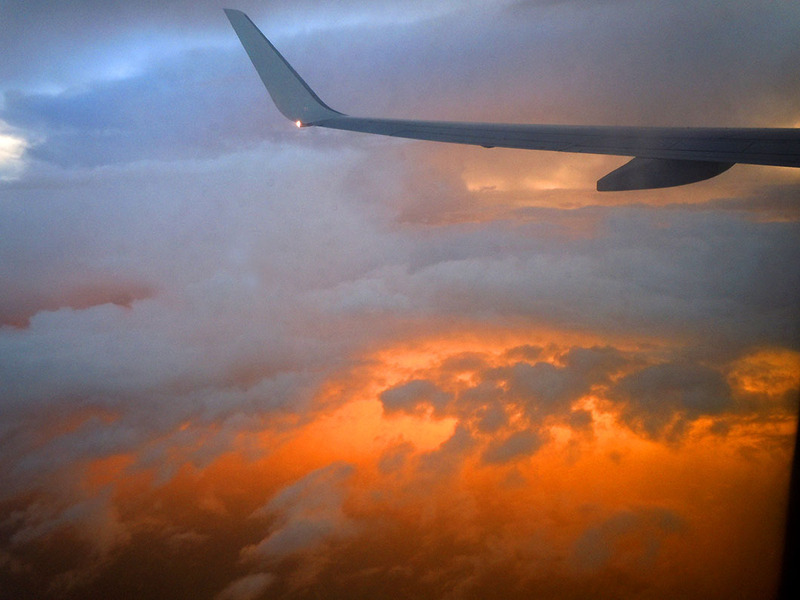 What a striking shot of the sunset outside of the plane! Wow!!! It was unbelievable Nicole! Hadn’t seen anything quite like that before! How wonderful for all of us that you photograph your travels, whatever method of travel. Thanks for letting us tag along. Amazing view from the balloon ride! Good luck to you Madhu! I love the shot of the sunset from above the clouds, a very interesting perspective. Your photo taken while hot air ballooning brought back some happy memories for me. Thank you Luann. Glad this stirred happy memories. Lovely..! There is a story behind every photograph. Especially, Happy To see The Ganga from your eyes. Appreciate the compliments Maulika. Thank you so much. Great post – as usual. Oh, thank you Judy, for the visit and kind comment. Love the hawk’s eye panoroma over the rail. And there’s something about that track shot with the blue mountain in the back. Just lovely. Great shots – especially like the felucca boat picture. Good luck in the competition! Great pics Madhu – we were actually in Pub Street last week and just got back from Thailand today! I agree that a balloon flight in Cappadocia is unmissable too 🙂 Lovely images and good luck! Wow, hot air balloon ride! What an experience! A fabulous post! Thank you for taking us on some of your travels here, Madhu. I’m just amazed by the hot air balloon ride. I’d love to try it, but am terrified. Such a beautiful blog! Namaste. . . .